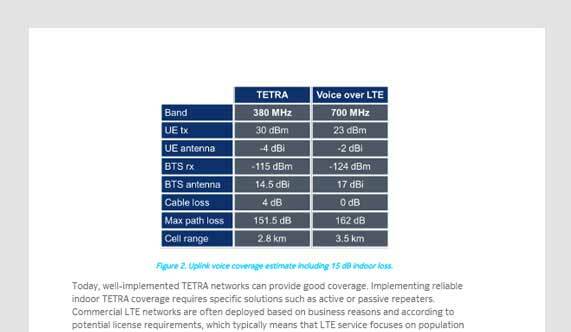 A comparison between LTE and TETRA for business and mission critical communications services. 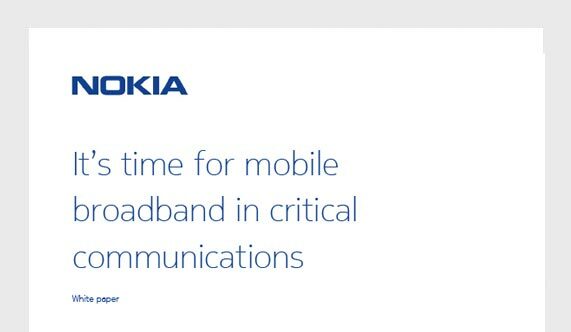 The critical communications industry advocates LTE technology for next generation mission and business critical services. While LTE is a mature technology in commercial networks, and the first nationwide public safety LTE (PS LTE) network deployments are being launched, there is still some hesitation among the industry with regards to the introduction of LTE technology to support mission and business critical communications. This paper studies the LTE technology capabilities for critical communications based on 3GPP standards, existing products, and the evolution plans. The analysis is based on specific requirements that are crucial for critical communications services, and it examines LTE for both mission and business critical communications. 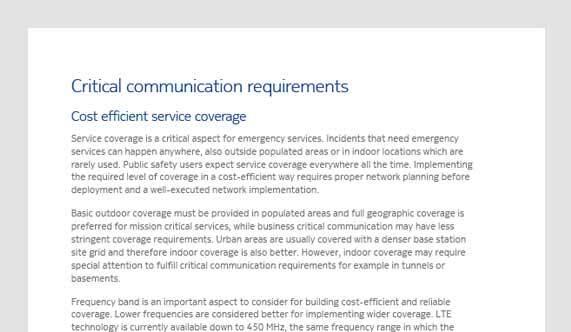 3GPP standards use the term 'public safety LTE', which refers just to mission critical communications, but this white paper considers that 3GPP 'public safety' technology is also feasible for business-critical use, for example, in private LTE networks. 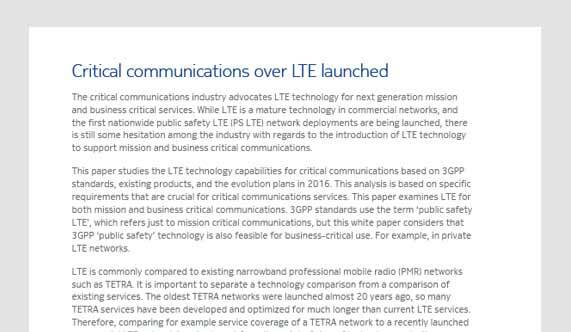 This white paper makes a comparison between LTE and TETRA, which is the current leading legacy technology for mission and business critical communications.